Glenn M. Azzinari, Esq. Glenn M. Azzinari, Esq. Glenn M. Azzinari is a partner at A.Y. Strauss, focusing his practice on corporate and commercial transactions, with a particular emphasis on structuring and negotiating complex construction agreements. 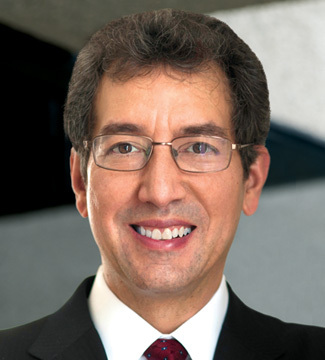 Glenn is also chair of the firm’s litigation practice, with a proven track record of zealously protecting his clients’ interests in federal and state courts, as well as various alternative dispute resolution forums, including the American Arbitration Association, JAMS, and the International Court of Arbitration. By combining his corporate background with his litigation experience, Glenn helps his clients achieve their business and strategic goals in a practical, effective, and efficient manner. Over the course of his career, Glenn has represented and continues to represent sophisticated clients ranging from closely-held start-ups to public multinational entities in a variety of industries, including financial services, construction and engineering, manufacturing, real estate, e-commerce, and renewable energy/green technology. Glenn serves as outside general counsel for many of his clients, working closely with their legal departments and executive leadership to help chart their legal and business strategy. Previously, Glenn was a partner in a mid-sized New York City law firm where he practiced for over twenty years. He is admitted to practice in the State Courts of New York, and in the Southern District of New York and the Eastern District of New York.